Today your search for Fort Worth moving companies, ends right here! You don’t have to search anymore for convenient and reliable moving resources. 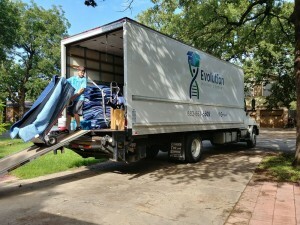 Our Evolution Moving Company Fort Worth is a team of specialists trained to handle every type of your move. We are here to deal with all your dilemmas and moving boxes. If you need packing of your belongings, transportation or someone who is capable to handle your precious piano, we are your best choice. We are the safe bridge to your new location and reliable moving partner who understands all your concerns. Contact us to make your move a pleasant and enjoyable experience.